05/11/2018 8th KIKK Festival: 25,000 visitors in Namur! The eighth KIKK Festival came to an end at 6.00 pm on Sunday. During the four-day event, 25,000 people came to the now-unmissable digital rendezvous. Visitors arrived from all over the world to attend lectures, take part in B2B exchanges in the KIKK Pro and visit the Market or KIKK in Town. 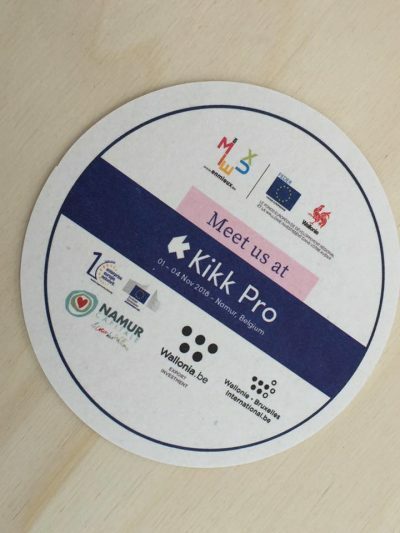 KIKK Pro: 250 pro passes, over 285 B2B meetings and numerous informal gatherings. Over twenty nationalities were represented, with visitors coming from countries including Japan, China, Canada, Greece, Portugal, the Czech Republic, the USA, Germany, the UK, Haiti, the Côte d’Ivoire and France. In addition, the BEP was present on the TRAKK Namur stand to explain the Namur creative hub and its activities to visitors.